1. The hot blonde moves in near the geeky scientist. A gorgeous, popular young blonde woman arrives on the scene in both shows and a geeky scientist begins crushing on her. 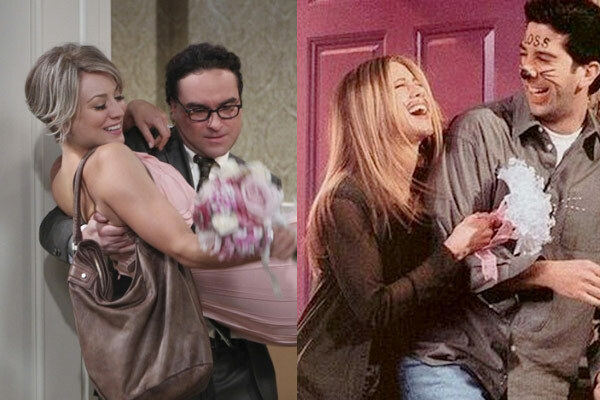 Penny and Leonard continue to mirror Ross and Rachel for a lot of the series. From confusion over who likes who, a cute initial relationship, a bitter breakup that puts a strain on their friends, the occasional one-night-stand and then finally making it back together. 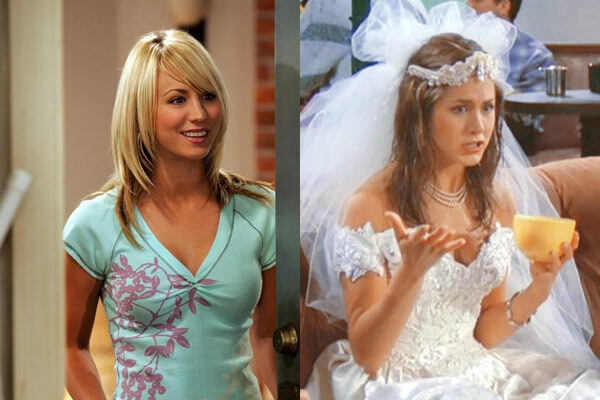 Ross and Rachel get drunkenly married in Vegas, while Penny also marries her former flame Zack offscreen in what we can assume was a drunken affair. Penny and Leonard later (both sober and unprepared for the consequences) decide on the spur of the moment to get married for realsies in Vegas, which is not so different from Monica and Chandler’s decision to do so in series five (apart from P&L go through with it). This one caused a bit of outrage when it first aired in the The Big Bang Theory, as the idea is exactly the same. Joey likes his chair in the exact same place for spacial reasons, and Sheldon is no different in regards to his spot. Fans of both comedy behemoths will know all the words to a cat-centred tune like the back of their hand, and in both shows it’s attributed to the most eccentric character. Phoebe’s ‘Smelly Cat’ is her signature song, while Sheldon requires his caretakers to sing ‘Soft Kitty’ to him whenever he is sick. We all know the regular version of Rock Paper Scissors, but both shows decided this was far too simple and opted for their own enhanced versions. In Friends, Phoebe and Joey add Fire and Water Balloon to the proceedings; while in The Big Bang Theory, the guys use a version that includes Lizard and Spock. 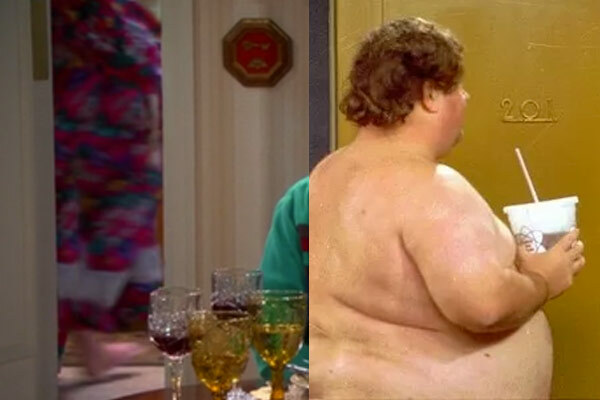 In Friends, Ugly Naked Guy is talked about a lot but only makes an appearance one time (and that’s from the back). In The Big Bang Theory, Howard’s mother is constantly referred to – and often makes vocal appearances – but she is also only ever seen twice (once from behind like UNG, and once from a great height). Both sitcoms suggested that a possible response to an unwelcomed “I love you” could be “thank you”, both between Ross and Emily and Leonard and Penny. Both Rachel and Penny started their careers as terrible waitress, and remained stuck in that dead-end job for multiple seasons. Both Rachel and Penny eventually got lucky and became remarkably successful at their new jobs (as a fashion executive and a pharmaceutical sales rep respectively). Another moment virtually copied from the script of Friends is when Penny reveals to Leonard that she has kept a box of seemingly unimportant items from their relationship. Rachel did this same thing sixteen years beforehand with Ross, pulling out a box of items from hers and Ross’ former relationship.